Today’s entry contains several Chilean-related topics, including one of the country’s historic rock bands, the continuing street name controversy in the Santiago borough of Providencia, and Chile’s pending participation in the US Visa Waiver Program. For those of us who enjoy rock music, Argentina has an flourishing rock nacional scene with artists like Charly García, Fito Páez and Los Fabulosos Cadillacs. Chile may better better known for its folk music, thanks to the legacy of Violeta Parra, Víctor Jara, Inti-Illimani, Quilapayún and others, but it does have a contemporary rock scene, thanks to groups like Los Tres and Lucybell. The most durable presence, though, has been Los Jaivas, founded in Viña del Mar in 1963; the video above shows an hour-plus performance at the Festival Internacional de la Canción de Viña del Mar in 2011. It’s hard to categorize Los Jaivas, but their closest counterpart in the English-speaking world might be Pink Floyd, but with strong folkloric influences. 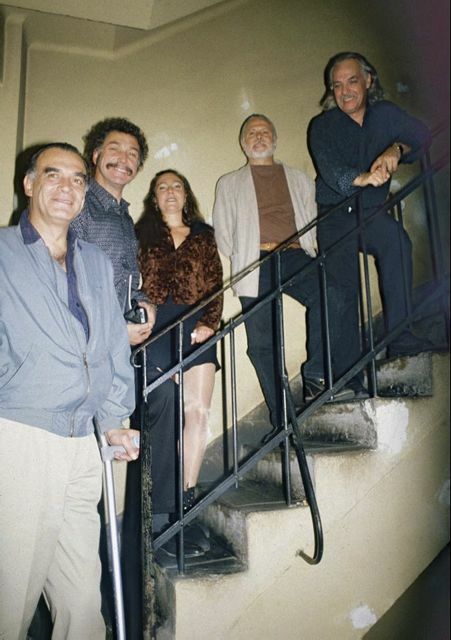 Though based in France, they tour Chile every year, and I managed to see them in 1999, when I also had the good fortune to meet keyboardist Claudio Parra (second from left in the photograph above) as I was purchasing tickets at Providencia’s Teatro Universidad de Chile. A modest and gracious person, he invited me backstage that night, where the band’s rapport with its fans was admirable – this is not a band of prima donnas. 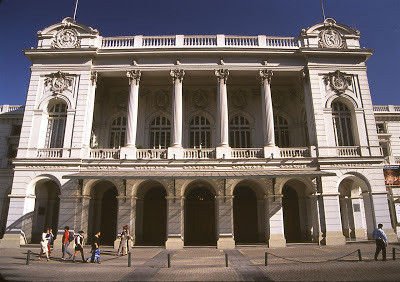 Now in their 50th year, Los Jaivas play this coming Sunday and Monday nights at downtown Santiago’s Teatro Municipal (pictured above), an impressive venue where I happen to have seen the only opera of my life and also a version of Man of La Mancha (semi-subversive when I saw it in the Pinochet years). 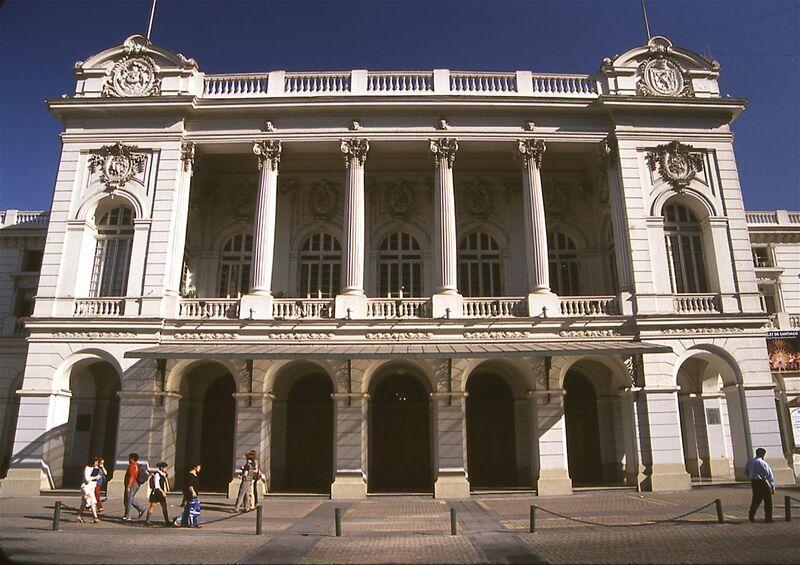 I won’t be in Santiago myself, but I encourage anyone there to see this landmark band in a landmark venue. Surprisingly, it will be the group’s first appearance on this prestigious stage. 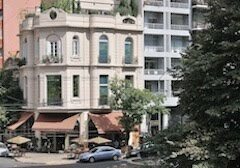 Recently I wrote about the pending name change in Santiago’s Avenida 11 de Septiembre, named for the date of General Augusto Pinochet’s coup against constitutional president Salvador Allende in 1973. Borough mayor Josefina Errázuriz pledged to change the name in her election campaign but, on Tuesday, her plan failed when four conservative councilmembers refused to attend a council meeting, denying her a quorum. In the long run, the name may still change, perhaps when the politicians in question finally appreciate that even appearing to stand up for the dictatorship is toxic to their own political agenda – not just for Pinochet’s notorious human rights violations, but also for financial corruption that came to light after his arrest in London in 1998. With the four other councilmembers in favor of the change, the council will presumably meet to discuss the issue again on Tuesday, July 2. Should the dissident conservatives condescend to provide a quorum, Mayor Errázuriz could cast the deciding vote. When I first visited Buenos Aires, in 1981, my future wife and her older brother shared a small apartment, belonging to their parents, on Cangallo street in the Congreso neighborhood. When we returned three years later to spend several months of research at Archivo General de la Nación, the street signs were a surprise – we no longer lived on Cangallo, but rather on Teniente General Juan Domingo Perón, the first street in the capital to be named for Argentina’s larger-than-life caudillo. This was not the street’s first name change, though. 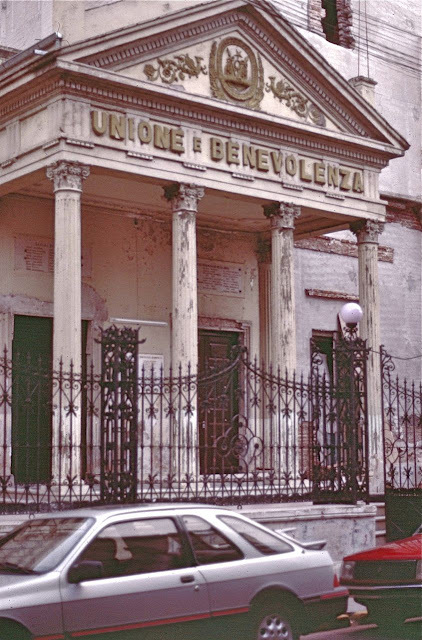 According to Vicente Osvaldo Cutolo’s encyclopedic Buenos Aires: historia de las calles y sus nombres, the east-west street that starts at Puerto Madero was originally “Merced,” after its namesake colonial church, and then “Sáenz Valiente” after an early city mayor. It became Cangallo in 1822, to commemorate a Bolivian village destroyed by Spanish forces during the South American wars of independence. There were objections to renaming Cangallo, and it’s interesting to note, as Cutolo does, that even Perón apparently preferred to refer to himself as president rather than by his military rank. What’s always seemed odd to me is that, despite Perón’s towering importance in Argentina history, this nondescript and narrow downtown street (pictured above) bears his name – no matter what one thinks of his politics, a grand avenue would seem more suitable (Evita does have her own avenue in another part of the city). 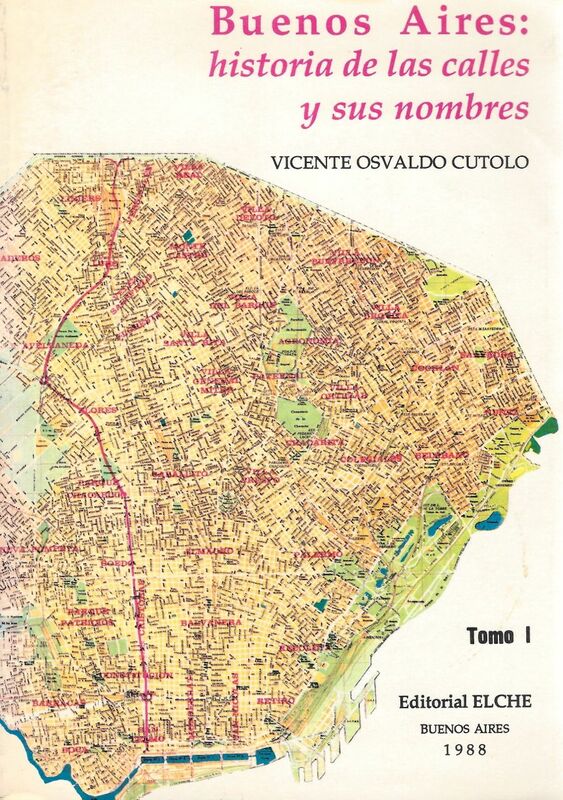 This wasn’t our last experience with Argentina’s volatile toponymy. 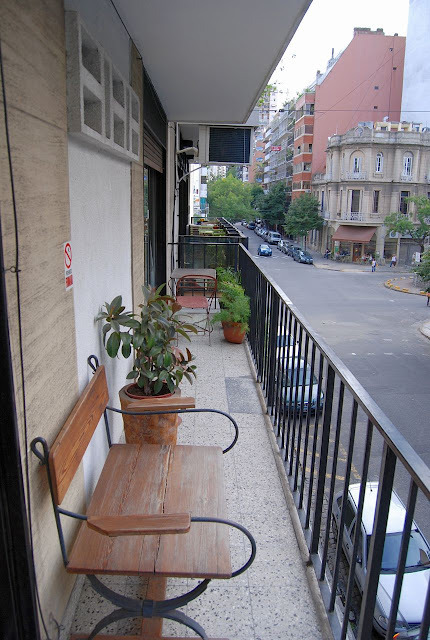 When we purchased our Palermo apartment in 2002, the street on which the buildings stands was República Árabe Siria (pictured above, from our balcony), but just a few years earlier it bore the name Malabia, after a Bolivian jurist who lived in Buenos Aires in the early independence years. 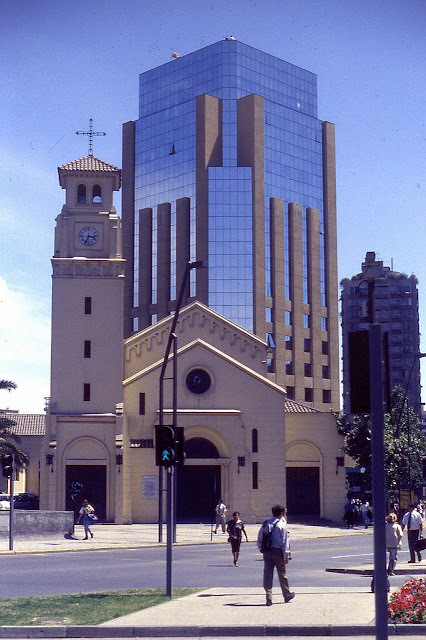 After president Carlos Menem took office in 1989, though, the nine blocks between Avenida Santa Fe and Avenida del Libertador acquired their current name because of Menem’s Syrian origins (his parents were Sunni immigrants to the province of La Rioja, but Menem himself converted to Catholicism which, until 1994, was obligatory to hold the Argentine presidency). Across the Andes, in Chile, there’s a different sort of controversy on street naming. The late geographer Homer Aschmann of UC Riverside once noted that many street names in the Paraguayan capital of Asunción bore dates of famous historical events – but, he added facetiously, none of those dates corresponded to Paraguay’s brutally hot and humid summers, when the weather made doing anything nearly impossible. 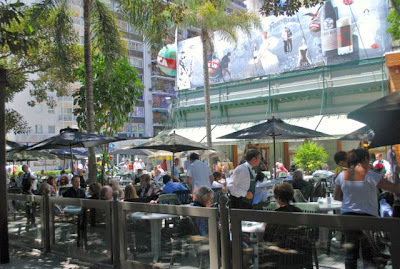 In Chile, though, Santiago’s Avenida 11 de Septiembre (pictured below, at a quiet moment) takes its name from the date of the military coup that overthrew constitutional president Salvador Allende in 1973. Formerly, this segment of the traffic artery through one of the city’s middle to upper-middle class neighborhoods was Avenida Nueva Providencia, paralleling segments of earlier Avenida Providencia. For years since Chile’s return to democracy, in 1989, Avenida 11 de Septiembre has been a sore point and, almost every spring, it’s been the site of vigorous protests that sometimes turn destructive. That could change if, as seems likely, the street reverts to its original toponym – and the city council is due to vote on the issue this coming Tuesday, June 25. Even if he manages to get the nomination, Longueira is unlikely to defeat the popular former president Michelle Bachelet, who is seeking a second term after four years out of office; his stubbornness underscores the fact that current president Sebastián Piñera, a conservative, was electable partly because he publicly supported the “No” campaign in the 1988 referendum that rejected a continuation of the Pinochet regime. If there’s a lesson here for Longueira and his supporters, it’s that symbols are important, but not in the way they might prefer. Frequently, relations between the United States and Argentina have been contentious. The 19th-century author, educator and politician Domingo Sarmiento admired the US but, in the 20th century, many public figures have distrusted the “Colossus of the North.” After World War II, US ambassador Spruille Braden accused Juan Domingo Perón’s government of having been pro-Axis, but Perón cleverly turned Braden’s accusations into a winning presidential campaign slogan, “Braden or Perón,” in 1946. Many Argentines accused the US of complicity or open support of the 1976 coup against Perón’s widow María Estela Martínez (Isabel) and the subsequent 1976-83 Dirty War that resulted in perhaps 30,000 extra-judicial deaths. 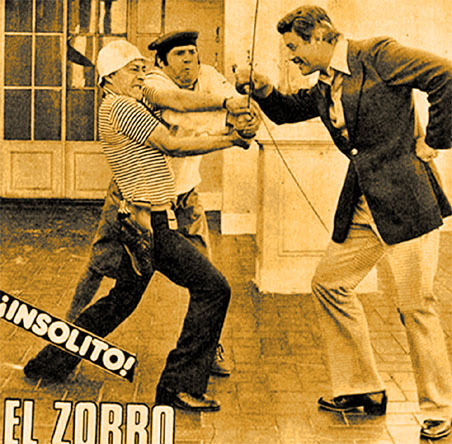 Still, after 1976, President Jimmy Carter’s representatives, most notably Tex Harris in Buenos Aires and Patricia Derian in Washington, strenuously investigated the dictatorship’s human rights abuses (in 2004, Harris received a decoration from Argentina’s Foreign Ministry for his efforts). Ronald Reagan’s administration reversed their work, pandering to the Argentine junta early in his presidency and giving mixed signals on the 1982 invasion of the Falkland (Malvinas) Islands. The Reaganites eventually threw US support to Britain’s counter-invasion of the South Atlantic archipelago, but Henry Kissinger and the vicious Jeane Kirpatrick remained enthusiastic supporters of the bloodthirsty Argentine regime. President Carlos Menem, now widely reviled in Argentina, had warm relations with the US, but subsequent governments, including the current administration of Cristina Fernández de Kirchner, have kept their distance at best. 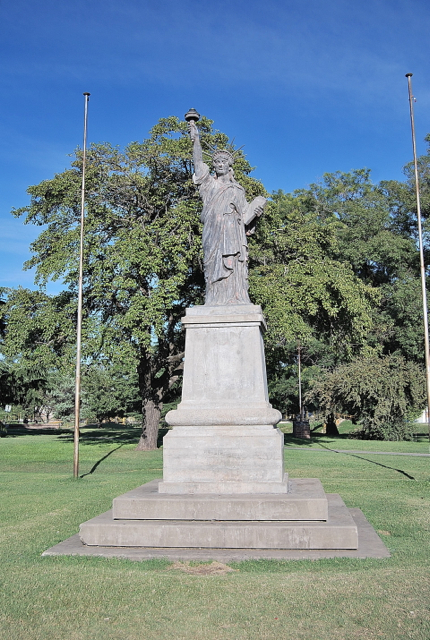 Given this historical ambivalence, I was surprised to read, in a tweet from the US Embassy, that there were five replicas of New York’s Statue of Liberty in Argentina, most of them in Buenos Aires province. I quickly corrected them as, when I visited my wife’s hometown of Olavarría in 2010, my brother-in-law casually mentioned the presence of such a statue in the riverside Parque Mitre near his house. Despite the frequent distrust of the US government that I hear in the Argentine press and media, as well as from politicians, I have never personally experienced any anti-American sentiment. Still, I was surprised to learn of the abundance of such a US icon in the country, and wonder whether there might be even more of them. That said, Argentina has a similar icon in La Libertad Argentina, pictured above on the obverse of a 500,000-austral note from the hyperinflationary 1980s. 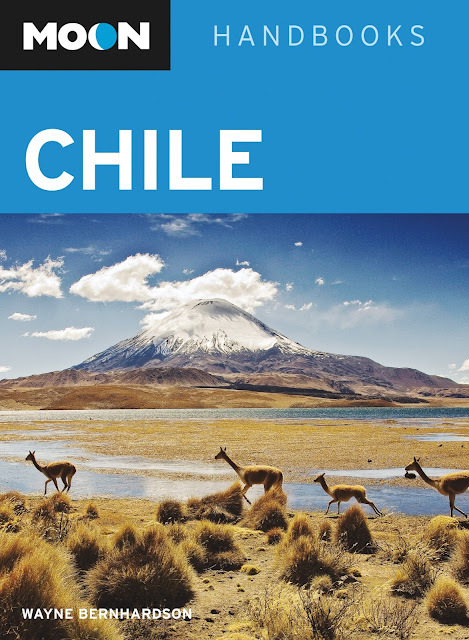 In about a month – Wednesday, July 17, at 7 p.m., to be precise – I will offer a digital slide presentation on travel in Chile at Santa Clara County’s Los Altos Library (13 S. San Antonio Road, tel. 650/948-7683). Coverage will also include the Chilean Pacific Islands of Rapa Nui (Easter Island) and Juan Fernández (Robinson Crusoe), as well as southernmost Argentina (Tierra del Fuego and the vicinity of El Calafate) that appear in the book. I will also be prepared to answer questions about Argentina and Buenos Aires. The presentation is free of charge, but books will be available for purchase.